Jon Henry is a New York based visual artist working primarily in photography. 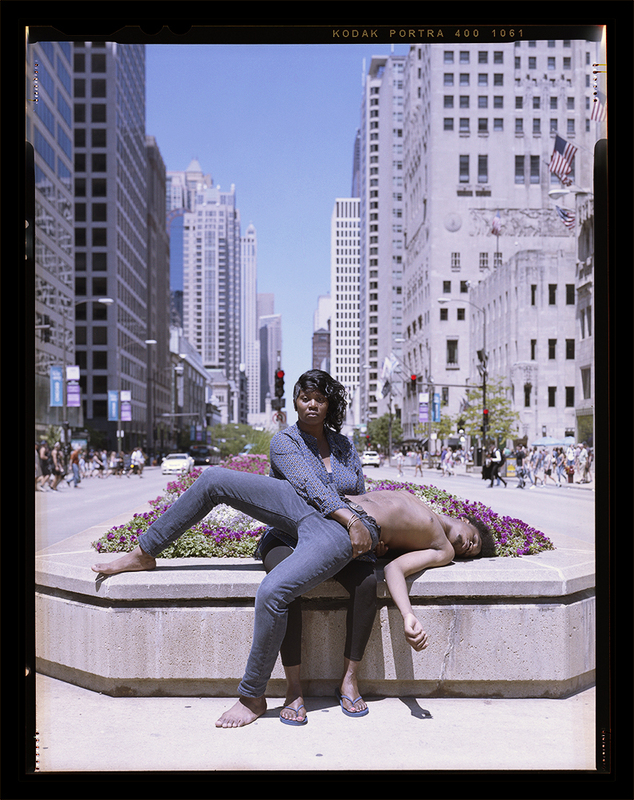 “Stranger Fruit”, a recent series by photographer Jon Henry, echoes the classical melancholic tenderness of a pietà, contextualizing the composition’s symbolic relationship to loss and grief within the larger socio-political ramifications of police violence towards black bodies. Each portrait depicts African American mothers in different variations of embraces with their young and adult male children. 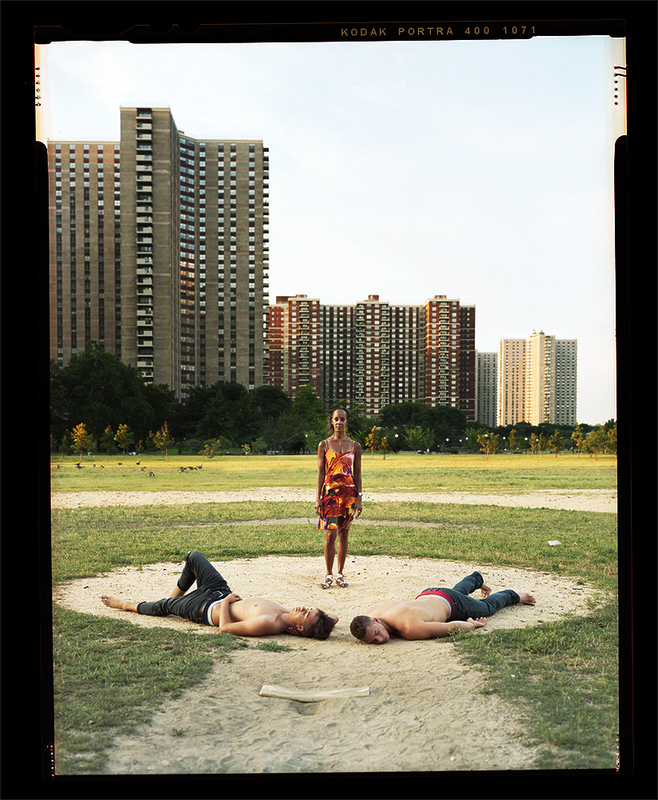 The theatrical nature of each pose exists in stark contrast to their backgrounds: residential and institutional urban locations; juxtapositions that speak of the daily life-threatening conditions of inner city youth living within structures of systematic racism. 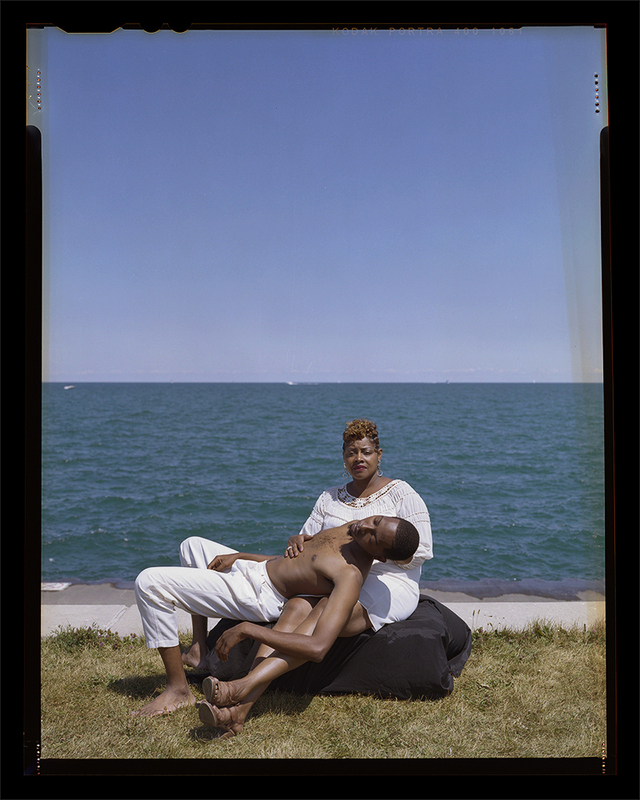 By emphasizing the black maternal experience and its relationship to tragedy, Henry pushes the viewer to not only acknowledge the existence of racially directed violence, but to consider the larger scope of how this affects the psychological well-being of a larger community. The image of the mourning mother becomes the overarching metaphor of the fear and uncertainty that lingers in the daily lives of people that are routinely isolated, persecuted and executed behind the veil of institutional white supremacy.